Charities Review Council mobilizes informed donors and accountable nonprofits for the greater good by engaging donors in informed giving, encouraging accountability and transparency in nonprofits and enabling the thoughtful use of philanthropic resources. 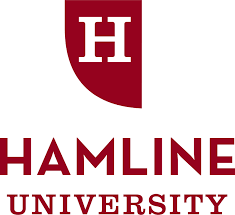 Hamline University challenges students in and out of the classroom to create and apply knowledge in local and global contexts, while cultivating an ethic of civic responsibility, social justice, and inclusive leadership and service. It offers a Master of Nonprofit Management. HandsOn Twin Cities brings people together to strengthen communities through meaningful volunteer action. Humphrey Institute of Public Affairs at the University of Minnesota is a top-ranked public affairs school focusing on public and nonprofit leadership. The Local Initiatives Support Corporation (LISC) mobilizes corporate, government and philanthropic support to provide local community development organizations with loans, grants and equity investments; local, statewide and national policy support; and technical and management assistance. Minnesota Council of Foundations is a vibrant philanthropic community collectively advancing prosperity and equity. Minnesota Council of Nonprofits informs, promotes, connects and strengthens individual nonprofits and the nonprofit sector. MRAC (Metropolitan Regional Arts Council) increases access to the arts in the seven-county Minneapolis-Saint Paul metropolitan area by providing information, organizational support and grants. Office of Grants Management standardizes, streamlines and improves state grantmaking practices and increases public information about state grant opportunities. Propel Nonprofits fuels the impact and effectiveness of nonprofits by providing guidance, expertise and capital. It is the result of a 2018 merger between Nonprofits Assistance Fund and MAP for Nonprofits. Springboard for the Arts cultivates a vibrant arts community by connecting artists with the skills, contacts, information and services they need to make a living and a life. University of St. Thomas educates students to be morally responsible leaders who think critically, act wisely and work skillfully to advance the common good. It offers an MBA for nonprofit leaders, a Mini MBA in Nonprofit Management and numerous executive education programs.